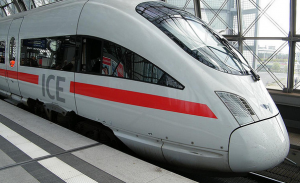 So you want a one-off rail ticket through Germany, and you want it as cheap as possible. You’re doing a journey like Belgium (- Germany -) Austria, or Denmark (- Germany -) Czech Republic, but you’re not going to stop* in Germany. Here’s how to do it. 3. Don’t despair. Click on ‘Zwischenhaltestelle einblenden’/’Show intermediate stops’ and take note of the route. 5. This means that for any journey through Germany you will have a list of 4 stations – 2 at your entry point, and 2 at your exit point. You should make sure the trains you are allocated are the same ones you found in step 2 above. Sometimes you may encounter night trains that have set-down stations only (so København-Freiburg/Bresigau might work for example, but Freiburg/Breisgau-Geneve does not on the trains you want). There are some tricks to get around this, but those are too detailed for this blog post! 7. Total up the price of each of your four options from point 6., and book the cheapest of them. The main gain is that each of these legs of the journey should involve a ‘Europa-Spezial‘ ticket, which can cost as little as 19 Euro, but each Europa-Spezial ticket must start or end in Germany. 8. Sometimes you might need a connection (especially if travelling south through Austria to the Balkans) that will always refuse to give you a price – in those circumstances you will have to call DB. Doing this in the past has saved me more than €100 per single journey. * – there is the ‘Zwischenhaltestelle’ option for DB that can be used for stopovers – see more on that here. I wonder if there is a travel scheme by which I only buy a weekly or limited-days cheap train travel ticket and travel through German cities and also use free transportation inside cities with that same ticket? The explanation is incorrect. If the journey begins or ends at Basel Bad Bf, then that station counts as a ‘German’ station if you are going to or from Germany but as a ‘Swiss’ station if you are going to or from Switzerland, so your search for Basel Bad Bf to Geneva won’t contain any ‘German’ portion (and thus won’t qualify for DB’s Europa-Spezial). I don’t know if you can get any good discounts for domestic travel if you try to book Basel Bad Bf to Geneva from CFF. If you search for ‘Kopenhagen Hbf’ to ‘Genf(CH)’ on DB’s website, then it seems that you can now get an expensive Normalpreis quote, but DB won’t offer you any cheap Sparpreis unless you split the ticket. Err, that’s actually what my blog entry says… it’s not wrong. Simply splitting in Basel Bad Bf didn’t work when I wrote the blog entry, and *still* does not, as I tried it in April 2017! Please not that long distance ticket inside Germany, i.e. from one German city to another one (say Munich to Hamburg) are only valid for two days. Tickets that end or start outside Germany are, however, valid for 30 days and you can make as many stopovers as yo like. If you play the ‘Zwischenhaltestelle einblenden’/’Show intermediate stops’ right, you can almost zigzag through Germany for 30 days and visit lots of great cities with one ticket only, i.e. for just under €140 for one month. This is often MUCH more cost effective than an interrail ticket, depending on the cities you want to visit. Not a bad deal, eh? I needed this info two weeks ago. In the end I bought a 160 Euro plane ticket København – Bruxelles.